TORONTO, ON – Mill Street Brewery has announced the release of a new product that marks the brewery’s entry into the increasingly popular hard soda segment of the alcoholic beverage market. The 5.2% ABV beverage is instantly recognizable for its classic root beer taste derived from the pure cane sugar, vanilla and all-natural root beer extract used to create this unique brew. More refined and only lightly sweet, it is very drinkable with a distinctive overtone of oak sandalwood and cinnamon spiciness mingled with flavours of licorice, vanilla and wintergreen that define traditional root beer. 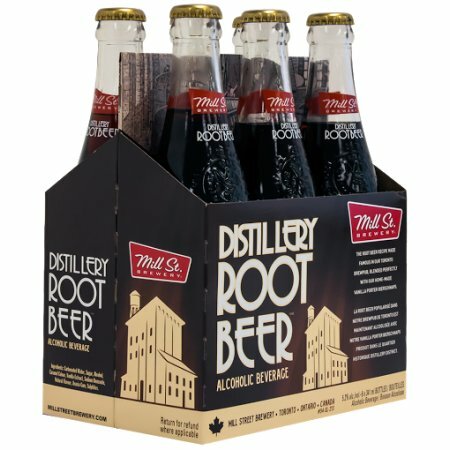 Mill Street Distillery Root Beer will be sold in the ready-to-drink coolers section at LCBO locations across Ontario, retailing for $14.85 per 6 pack.